Near the Village but not quite of the village, Under the Volcano attracts its share of preppy Rice students and chill locals. There's more than one patio for sitting and sipping on a mojito or the famous strawberry basil margarita (don't ask questions, just order one). There's pool for the sporty types, a tiki bar area for something a little different, and live music from time to time. 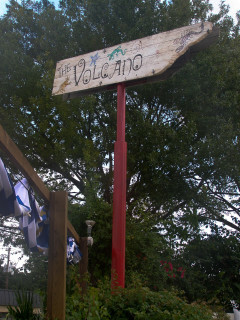 Under the Volcano is a great under-the-radar spot to hang out with friends or meet some new ones. Monday night is steak night.